One of the most common recommendations I make to nonprofit leaders is to hire a development staffer. I then help them understand how to find the resources and capacity to do it. Once the money is secured and nonprofits embark on the journey of hiring, most have a difficult time finding the right person for the job. Considering that recruiting firm fees start at $15,000, it’s up to you to find your talent. Here are a few things to keep in mind to attract strong candidates during your next fundraising hiring process. 1. You get what you pay for: In the nonprofit world we dream of finding retired, experienced fundraisers who will volunteer or work for less because they believe in your important mission. Does this happen? Sure… but rarely. We also think we can hire a “go getter” young professional for less and have them work harder to achieve what someone with 10 years of experience can do. Most often, the level of salary you offer will directly affect the experience level and talent of the person you hire. So, what’s a good wage that will attract strong fund development talent in Madison? Development Director pay ranges from $40K – $120K per year. Larger organizations have bigger budgets and a capacity to pay at the high level. My recommendation for small nonprofits is offering $55 – $65K FTE annually, plus good benefits. Remember! You have to spend money to make money. The Association of Fundraising Professionals publishes a free annual report on development staff salary info. 2. Hire full-time if at all possible: Most professionals with experience are looking for full-time work. I personally have tried to hire part-time staff and found it difficult to attract enough competitive candidates because most are looking for full-time employment with benefits. 3. Modernize! Offer flexible hours and office time: Today’s professionals are prioritizing family and flexibility more than in past generations. Thanks to modern, affordable technology, it’s easier than ever to offer professionals the opportunity to work at home a few days per week or work a more flexible daily schedule. I recommend leadership focusing on getting the job done – empower your staff with the responsibility of understanding how best to do that for themselves. Of course, staff meetings and time spent in the office to collaborate are all important. But some flexibility that works for your organization can make your job stand out above the rest. 4. Build a culture of philanthropy and include it in the job description as a selling point: Building a culture of philanthropy within your nonprofit means making development (fundraising) a central part of programming and management. It doesn’t mean the Development Director works in a silo in an office down the hall. By building a culture of philanthropy at the Board level to your office assistant, everyone understands that fundraising is intertwined with programming and it’s everyone’s job to help. Not only will you raise more money, but Development Directors tend to feel more valued and less stressed. This can and should be a significant selling point in what you offer in a job description. 5. Fight the turnover: Development staff tend to have a 16-month turn over rate. That is ridiculously high and very inefficient – not to mention expensive – for your nonprofit. 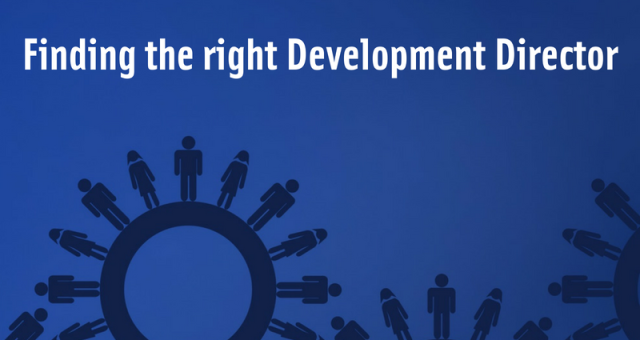 By offering good pay, strong benefits, and making them feel valued, your chances of finding a good development professional and keeping them from being headhunted are much higher. P.S. – Don’t forget that the Madison AFP Chapter has a very affordable job board where all development professionals go when job hunting. Want to get these tips and insider news in the future? Please like Amanda White Consulting on Facebook.